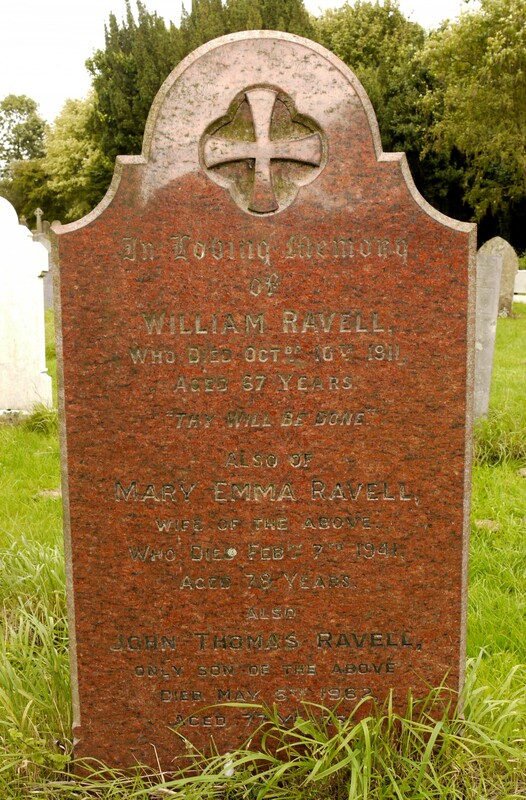 Headstone of the grave of Mr William Ravell, 1911. Information from a comprehensive and detailed survey of the headstones and burial monuments in the churchyard and the interior of the church, made some years ago by Mrs Fegan. The records also include the names of Bottesford men recorded on the WW1 and WW2 War Memorials located inside St Mary’s. The information was found in the form of a dot-matrix print out and a 3.5 inch Commodore diskette. The print out was captured by OCR and then edited to create an Excel spreadsheet. Three versions of the final spreadsheet are presented here, in which the grave records are given (1) in the original order, (2) in alphabetical order, and (3) ordered by date of death. The original data made reference to a simple map which delineated the areas of the churchyard as referred to in the survey. This will be added in due course. In 2014, the Church Council undertook a new, definitive survey of the churchyard based on accurate GPS readings. Inscription and physical details were added, stone by stone, by volunteers. However, there are known to be cases where inscriptions could not be read, either because stones had fallen or the surfaces had deteriorated, and so it is probable that the earlier survey set out here includes information not obtained during the recent survey. BOT/096/001 St Mary's churchyard survey, Fegan 1987 - entries in the original sequence. BOT/096/003 St Mary's churchyard survey, Fegan 1987 - entries in date sequence.of the death of the deceased.